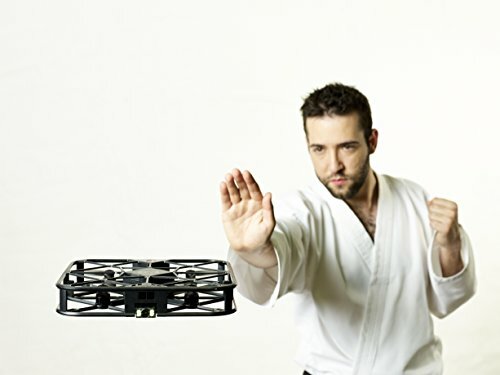 The selfie drone is the next big thing. 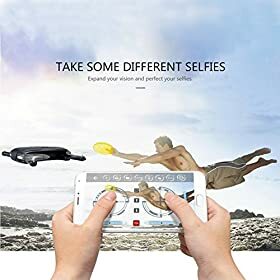 Because what’s better than a selfie-stick? A selfie-drone of course! You know when you’re taking that selfie, but you just need that little bit more background? Or maybe you just want to catch a bit more of the surroundings? And that selfie-stick just won’t give you that perfect shot for your Facebook feed? You know what you need right? Get ready for The. Next. Big. Thing. Dronies are what you need to get the perfect shot. 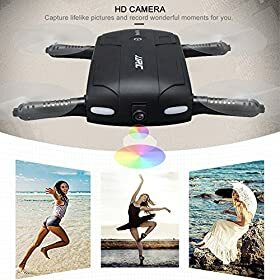 Whether it’s just that little more height or that perfect capture from a just a little bit of distance, selfie drones have been developed exactly for this reason. What are the prices of selfie-drones? Are selfie-drones easy to fly? What is altitude-hold and why do I need it? Which is the best selfie-drone to buy? But what exactly is a selfie-drone? Dronies – a selfie taken by a drone! The selfie-drone is the next piece of technology which might just be the next big thing in everybody’s pocket. After the iPod, the portable digital-camera, the smartphone/iPhone/iPad, the next big thing just might be: the selfie drone. Or the small thing rather. 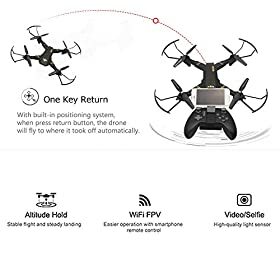 Because what makes these drones great? 4 main things. 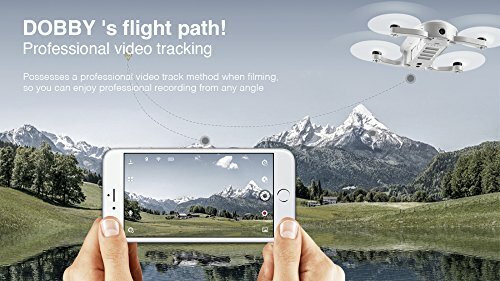 Altitude hold – because your drone needs to be still whilst taking your selfie! 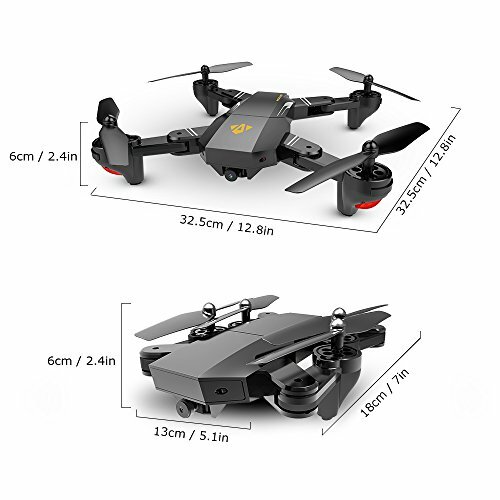 Let’s talk size: what is a foldable selfie-drone? So let’s start with the first and most important feature of a selfie-drone. The size and how the foldable selfie-drone has developed. The digital camera bec extremely popular not when the technology such as the lens and sensors were top-notch. They being popular when their size made them easy to carry around. The smartphone became popular not when the technology to have a digital assistant was created. It’s when their size became small enough to fit in your pocket. 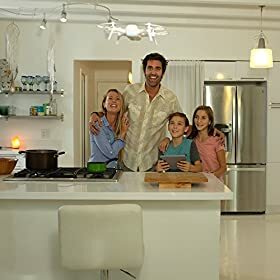 Hand-held speakers, video games, laptops, tablets – it’s when the technology becomes portable that it really takes off in popularity. The usefulness of any technology multiplies by many factors when it becomes much more portable. 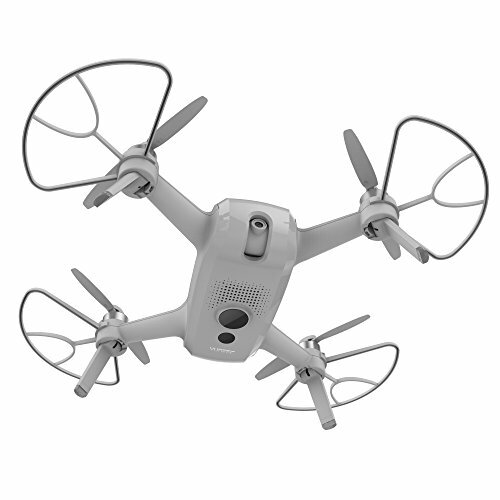 If (like us at DronesBuy) you’re familiar with drones, you probably know what most of them are quite bulky in nature. Even the smallest drones which had been released up to last year (at least the ones which could take good pictures) were quite large. 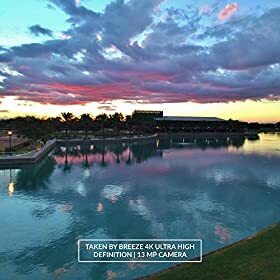 Even the DJI Phantom series, which was about the smallest of the good drones with great cameras required a special luggage or backpack to be carried around. 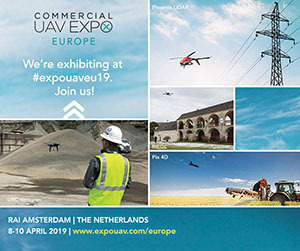 Let alone the initial more expensive drones, such as the FreeFly Alta 8 and the DJI Inspire series – these required specialized cases and transport – and of course, that’s what drove such a niche as expert drone pilots. But these last few months – we’ve seen a completely new twist in the drone revolution. 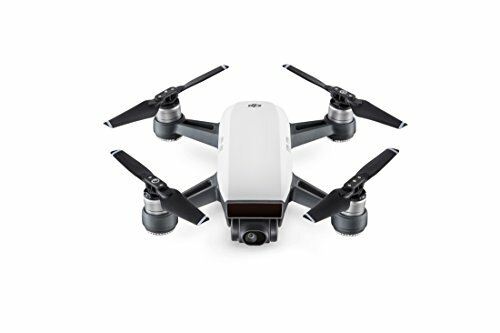 It started off primarily with the DJI Mavic and eventually, DJI followed up their success with the DJI Spark. Both of these drones feature high-specifications cameras and technology, WITHOUT sacrificing the portability. 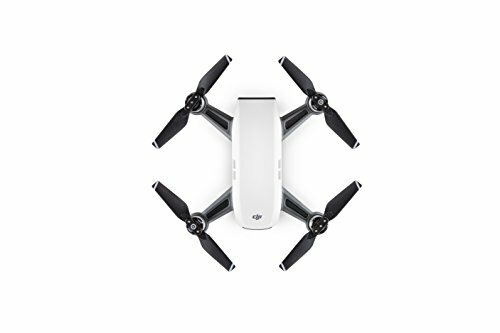 Although the Spark is not a foldable selfie-drone, you can see that it’s size is so small that it’s very portable. And just like the Mavic, it can take selfies simply by gesturing – so you don’t even need to be holding a remote control! 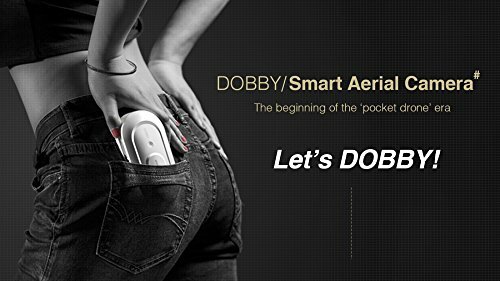 But DJI is not the only company which is creating drones which can fold into your pocket. So yes, one of the criteria of the selfie-drone, is surely its portability! And if you’re not happy with buying one which is ready-made, you can build your own! But portability is nothing if it’s not affordable. 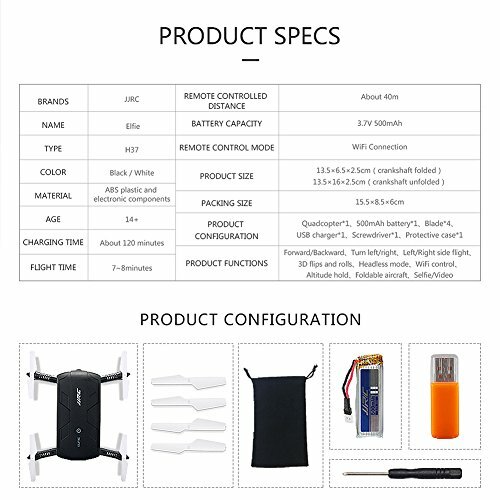 What are the prices of selfie-drones? 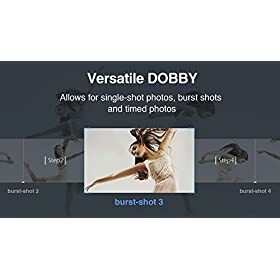 Are they affordable? Price is obviously subjective. What is affordable to you, may not be affordable to me. What’s affordable in the US of A, is probably not affordable in Bangladesh. Yet – we can all relate to “expensive”. 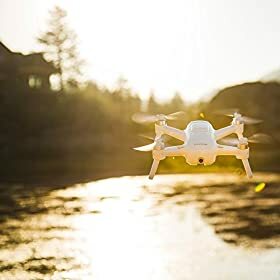 The great thing about drones is that their every growing popularity has lead to them not becoming only affordable, but there is quite a range of drones you can buy. From the cheapest drones to the most expensive drones – there is a drone to cater for every budget. And the same applies to selfie-drones. Got money to burn? 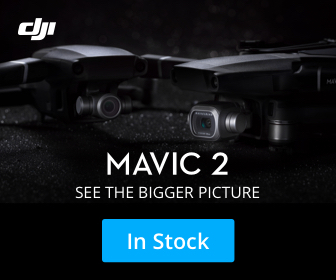 Get the Mavic. Are you a bit more price-sensitive? 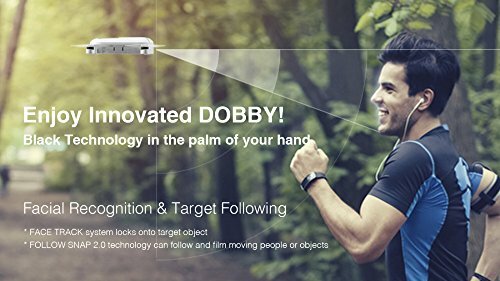 Get the Dobby. 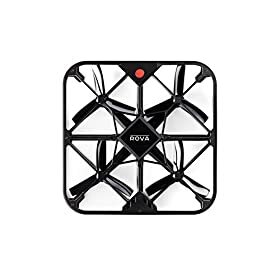 Looking to just have a new cheap toy – get the cheapest selfie-drone which goes for a mere $40: the FQ777. 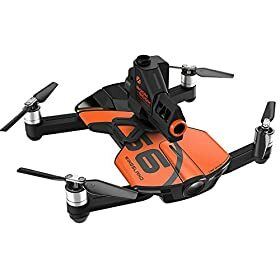 Yes, starting from the price of $40 and can go even lower if you plan to build the drone yourself, thanks to drone kits, quadcopters are completely affordable by most today. Let’s talk about the cameras for dronies: are they rubbish? Well – just like we said a bit further up in this article, the camera specification was one of the essential features in selfie-drones becoming a thing (and possibly the next big thing). Ever since smartphones become ubiquitous, the camera technology has been advancing in leaps and bounds. Quality, despite being packaged in such a small size, keeps getting better and better. 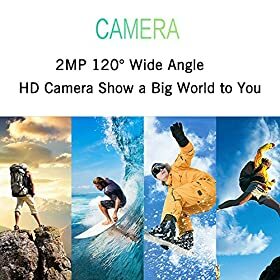 And of course, being just one component in a smartphone, the price of camera is obviously very affordable to make it possible to be sold in the millions. Which is, of course, great for our case: camera drones for selfies. Simply put, the technology is mature and highly-specced. It’s just that rather than being placed in smartphones, they are placed in drones. 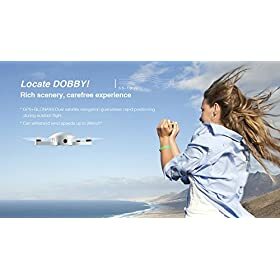 Are drones which take selfies easy to use and fly? Is taking a selfie with your phone hard? Is taking a selfie with a selfie-stick hard? So why should dronies be any different? 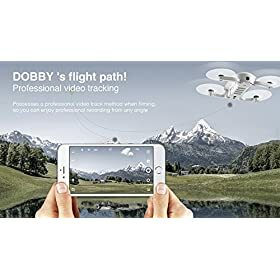 Once again, for all of the pieces of the puzzle to come together, dronies need to be something which is not exclusive to the techies, or the geeks. This needs to be tech which is usable by the man on the street – the ones who will make this popular. There’s plenty of technologies which make these drones very easy to use. 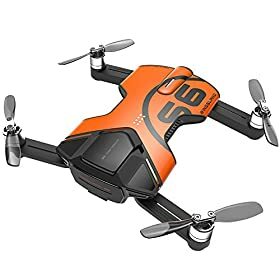 Such stuff as headless mode and altitude hold, make it dead easy for you to fly and use these drones. And we’ve already seen what a leap in usability there has been – drones now need just a gesture to take a selfie. Drones don’t even need remotes sometimes – you can fly them with a smartphone app. Drones for selfies are obviously not going to be any different – they’re simply to fly, simple to take pictures with. They are simple for anybody to be able to use them – because if they weren’t, that would defeat the whole purpose, wouldn’t it? What is altitude hold and why do I need it? As we’ve mentioned above, most of these drones are very easy to use. But of course, that’s because the technology has matured enough to allow certain functions to be built in cheaply. For example, typically flying a drone requires a lot of skill – particularly for taking good pictures. Because maintaining a quadcopter in a static position is an incredibly difficult thing. 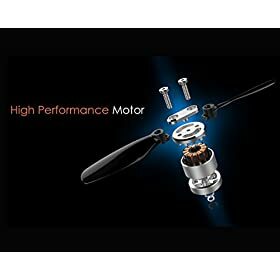 You’ll need to give the rotors just enough power to not climb with an upward thrust, not drop with gravity … and if it’s windy, do small adjustments to keep the drone steady. It’s a skill which is not easily acquired. When altitude hold mode is selected, the throttle is automatically controlled to maintain the current altitude. Once again, this technology, makes it very simple to keep the drone in place while it takes a still image. The more expensive drones will even cater for changes in the wind and still maintain altitude as necessary, thanks to a variety of built-in sensors. 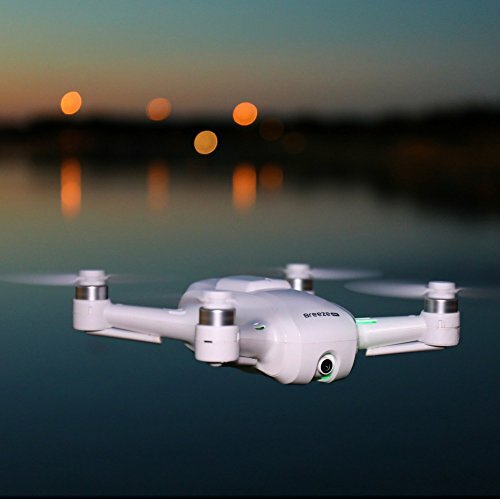 Now that we’ve read all about the selfie-drone, it’s time to have a look at a few of the more popular drones that capture selfies! 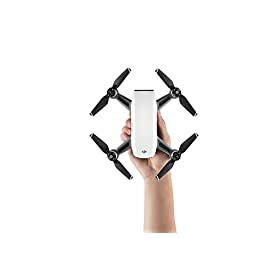 We cannot start this list without mentioning our favourite selfie-drone of all – the drones whose arms fold into to fit right in your pocket. 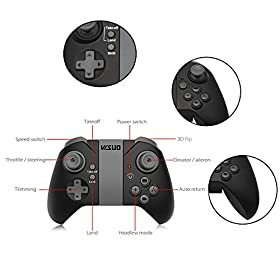 If you want to see what this technology can do without spending a lot, this would be the perfect buy. 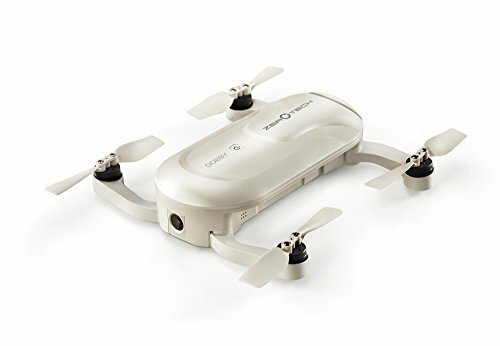 Foldable & flexible aerofoils make the palm-sized drone compact, small and portable. But don’t think this drone doesn’t pack a punch! 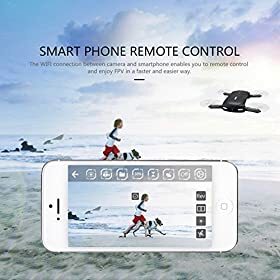 Remote Controller or App Control – besides the remote controller included with the drone, this drone can also be fully controlled via smartphone. 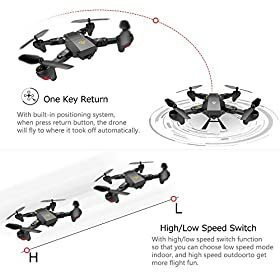 Altitude Hold Mode – As mentioned above, this drones can maintain a consistent altitude while allowing roll, pitch, and yaw to be controlled normally. 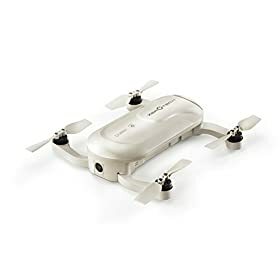 Headless Mode – Thanks to headless mode, there is no need for the drone pilot to know which part is the head (front) of the drone or not. 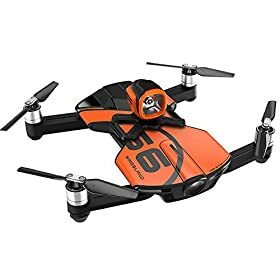 Specialized Functions – The drone also has one key take-off & landing, 3D flips & rolls, High / Low-speed modes, LED lights, gravity sensors & gyroscope, camera reverse, 3D video, emergency-landing and lots of other functions. 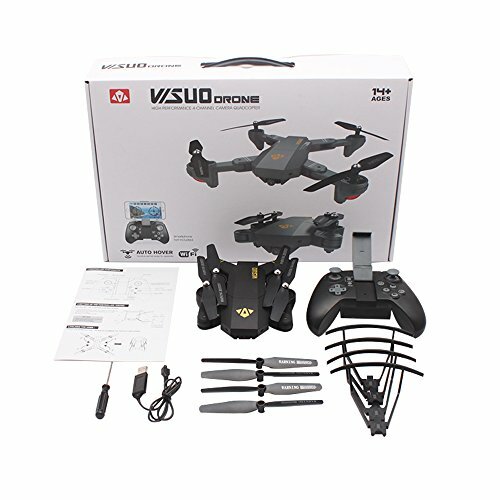 All in all, this drone packs a punch for such a small package at such a great price! 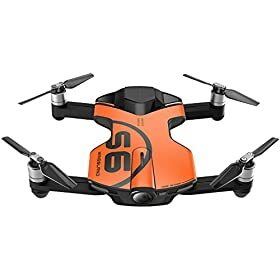 This drone is sold a numer of different names. In essence, the manfacturer produces this same drone for a number of different companies, with one of tem being JJR/C, the other being licensed as the Selfie Drone 7s. You can even see that the apps are actually identical. 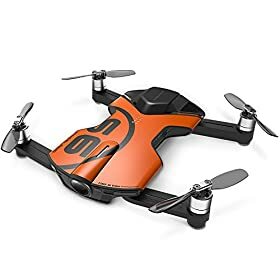 This model is infact another extremely popular drone model for those who just want to experiment with a selfie drone. 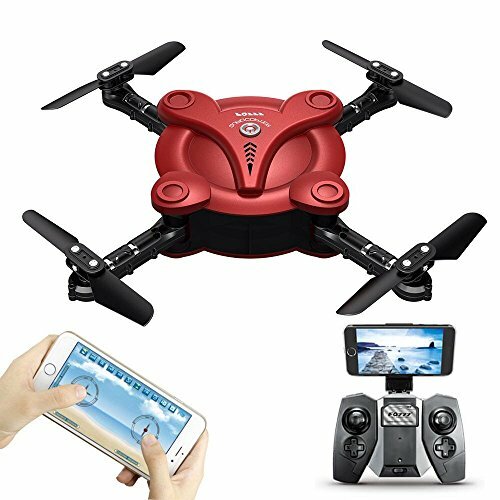 It is extremely affordable, being less than $50 while still having all of the features one would need from a selfie quadcopter. Smartphone WiFi Remote Control – this drone can be controlled via a wifi connection to your (iOS or Android) phone, with a real-time transmission from the camera on the drone! Pictures and videos taken by the drones are stored in the phone, so it’s dead simple to share them immediately. 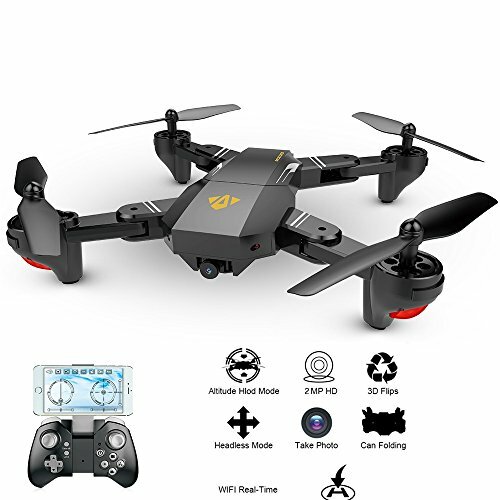 Altitude Hold Mode: When you release the throttle stick the drone will automatically set itself to hover at that height – ready for taking your dronies! 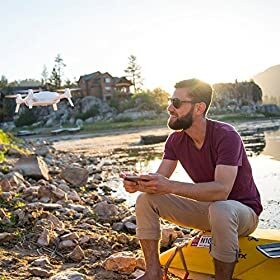 Headless Mode – you don’t need to worry about the direction the drone is facing. 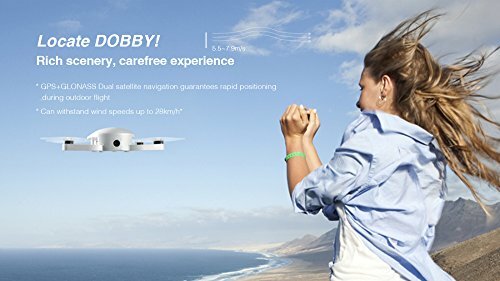 Aerobatics – 3D flips and rolls make the drone fun to use with kids or anybody really! 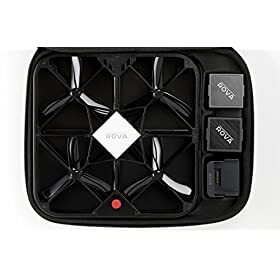 At less than $50, you can just Buy Now below to get this drone today! 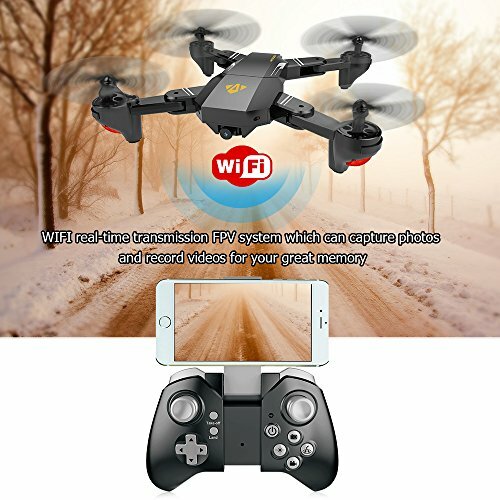 Smartphone WiFi Remote Control - You can control your drone with wifi connection to your phone(ios or android),your phone will receive real-time transmission from the camera on the drone! The pictures and video store in your phone ,it`s easy to share them with your friend. Headless Mode - When enters into headless mode, you don't need to worry about the direction problem. 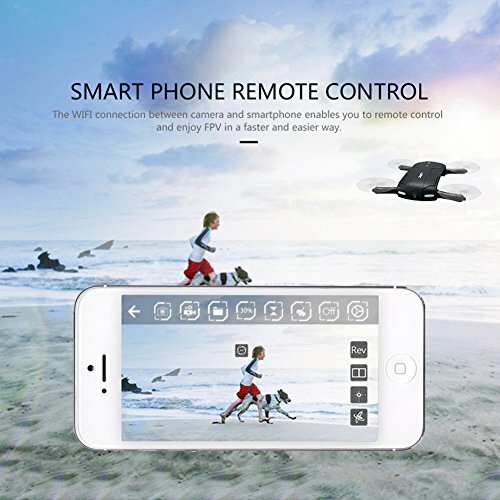 You can fly the quadcopter drone easily without knowing the direction. 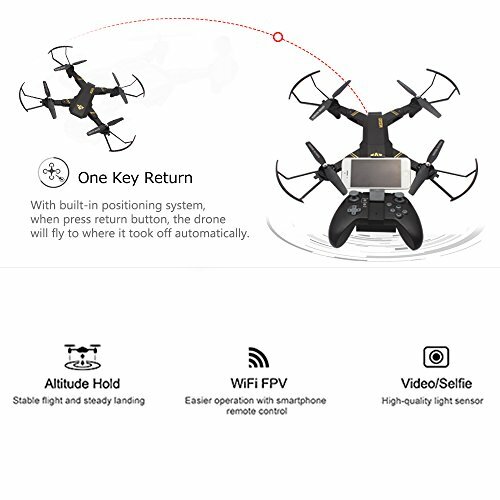 One Key Return - Recall the drone effortlessly, just touch a button on the app interface. With our next model, we’re still looking at selfie drones under $100. The OKPOW is quite the looker if you ask me. 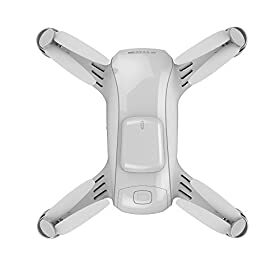 Moreover, it’s not just any selfie-drone, this one is able to capture wide-angle photos. But let’s have a look at the actual quadcopter first. 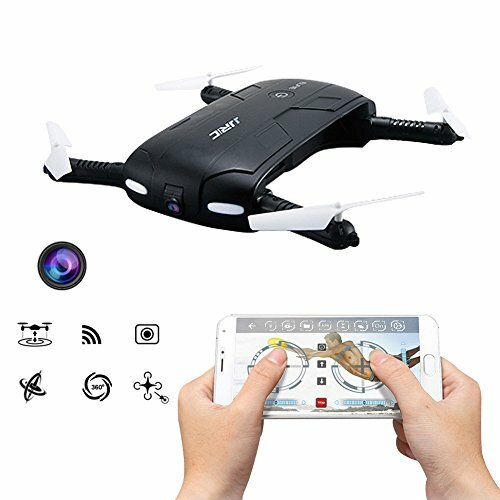 So what are the highlights of this foldable selfie-drone? Foldable design – every time we come across a foldable drone, it always hits our spot. 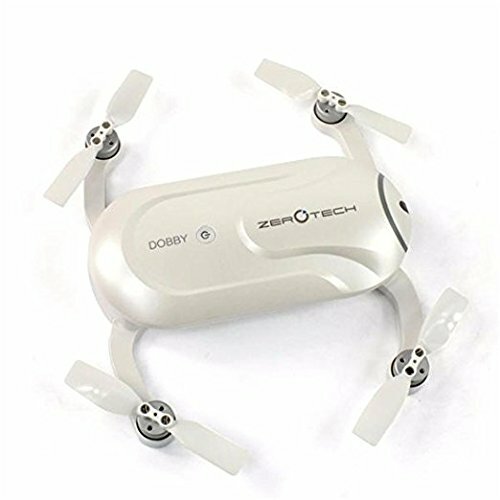 This makes the drone very portable and easy to carry around. 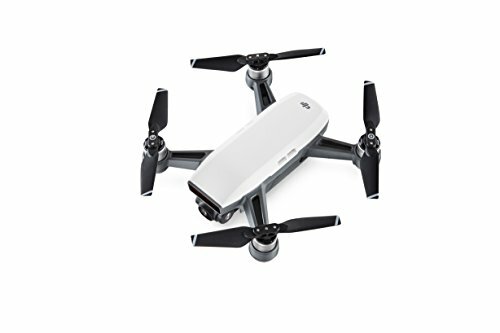 It also has a unique stylish fuselage design, which is very reminiscent of the DJI Mavic Pro. High/low-speed mode and 3D flip functions provide some good entertainment. 10 minutes flight time which is awesome battery life for such a tiny drone! 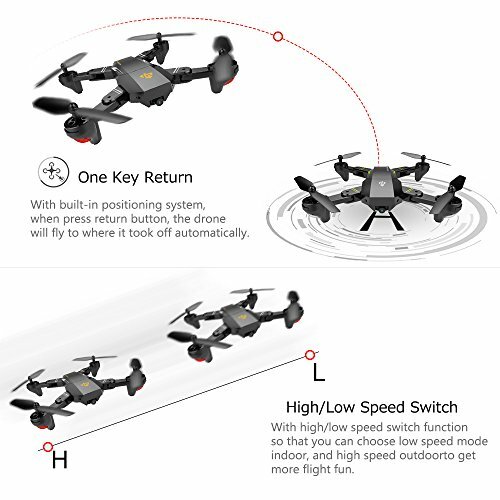 Easy fly functions – have such functions as altitude hold and one-key takeoff/landing, flying this drone is as simple as it can get. It also supports headless mode and one key-return home. 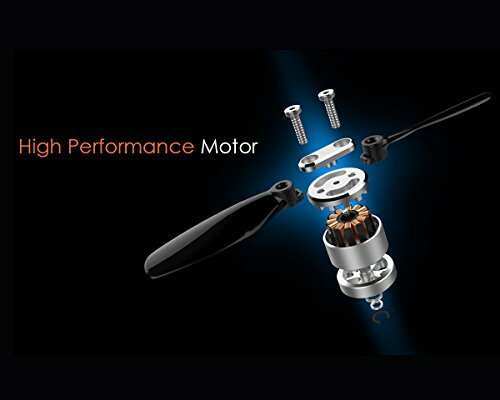 Upgraded 2.4G 4CH transmitter for easy control, and the latest 6-axis flight control system, provides super stable flight. 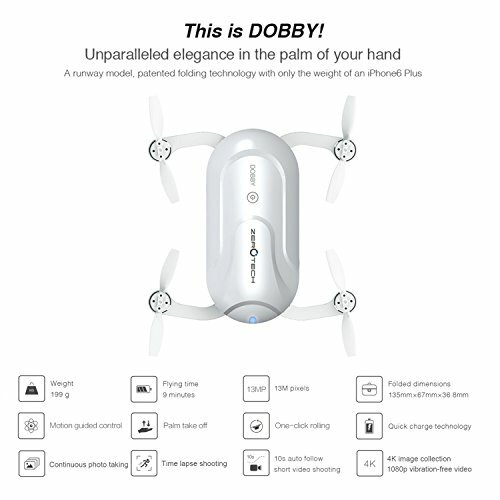 The Dobby, is without a doubt, one of the more popular drones for taking selfies out there. And although the price tag seems a little bit on the high-side compared to the 3 other drones we featured above – this quadcopter was initially priced at closer to $400 – which makes the price of less than $300 a bargain, with more than 25% OFF compared to normal prices. 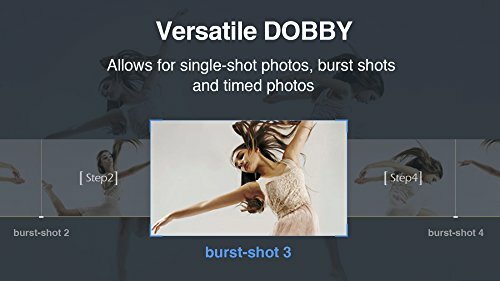 But what makes the Dobby so much fun? 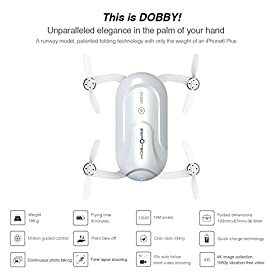 The Dobby is, of course, another foldable drone, as you can see, the arms fold right-in, making it a sleek gadget which you can definitely carry around in your pocket – it weighs just under 200g. 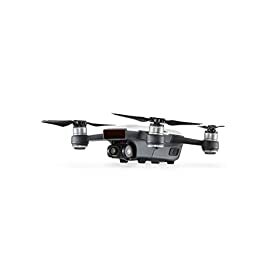 The drone is actually quite a popular choice if you want to get yourself a well specced drone at a good price. Let’s have a look at the features of this bad boy. 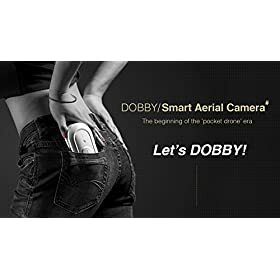 The Dobby is controlled by a smartphone app, just like most of the drones we’ve seen here, it has a good battery life of around 9 minutes, plenty of time to get yourself a few good selfie drone shots. But the real kicker on this drone is the 4K High-Definition camera, great for high-quality pictures and 1080p video. 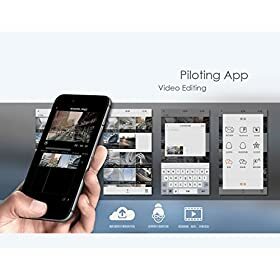 And of course, given that it is fully controlled by an app (available for Android or iPhone), pushing the photos or videos you’ve taken from the drone to Facebook or your favourite social media network couldn’t get any easier. 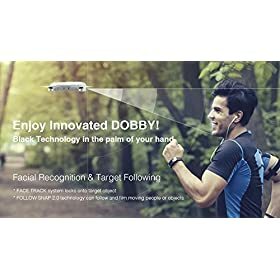 The Dobby Selfie Drone also features some of the other great technology packed with today’s drones – the camera has facial recognition, target tracking and 10-second follow video shooting. 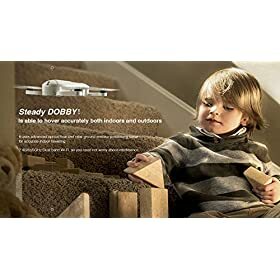 The Dobby is surely a great choice for taking dronies … and at the current price, it’s the perfect time to grab a bargain. 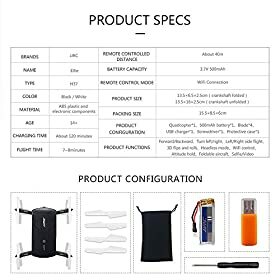 We’ve sourced an excellent supplier with a great reputation, so go ahead and have a look! 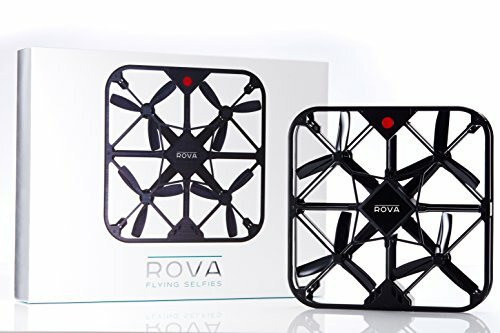 The ROVA is another drone for selfies which is priced at just under $300. 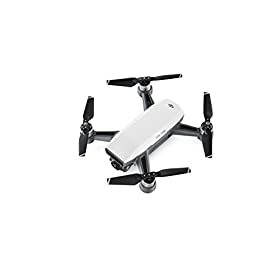 Contrary to the selfie quadcopters we’ve seen above though, this drone is not foldable and is larger in size when compared to the ones we’ve seen so far. For you get an idea on the dimensions, have a look at the picture below. So yes, maybe that’s a little bit different from the rest of the drones for selfies we’ve discussed so far. 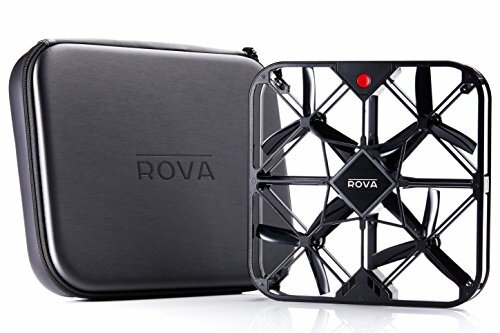 But hey, foldable drones are only something quite recent, so don’t subtract any points from the Rova just for that. In fact, the Rova was released at CES to an excellent reception. But let’s have a bit of a deeper look at the Rova. 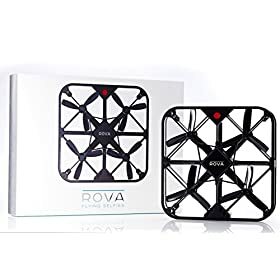 Given the way the Rova is designed, it’s very safe to fly this selfie quadcopter indoors – because the propellers are of course very well protected, so they won’t do any kind of damage if they hit anything. It’s also just 270g and comes with a built-in 16GB microSD Card. 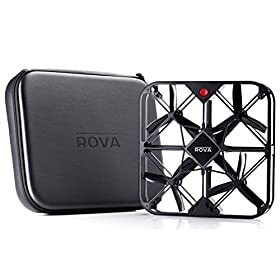 The Rova is another drone which is completely controlled by a smartphone app, you connect to a wifi network (which is, of course, the drone itself) and then the app controls the drone. There’s built-in obstacle avoidance features, which of course, is always a plus for newbie-drone fliers. There’s also optional bumbers which you can add to the casing of the drone, to ensure that you don’t damage anything, if you’re really an absolute beginner. 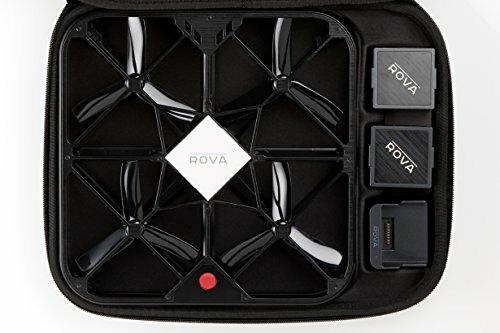 The Rova’s strong point is once again the camera – it’s a 12MP, including built-in flash, which can, of course, also support 1080p videos (@60fps). 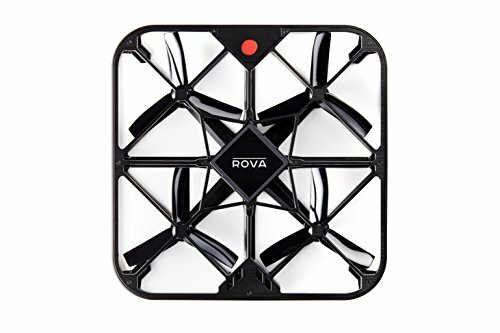 The ROVA comes with two batteries, with 8 minutes of flight-time each. Ready to have a look and find a good supplier? We’ve done the hard work for you and sourced a great supplier for the ROVA. Your job is simply to click the Buy Now button! Ready for another smart drone for taking selfies? It’s time for the Yuneec Breeze! Now, this is one heck of a drone for selfies. 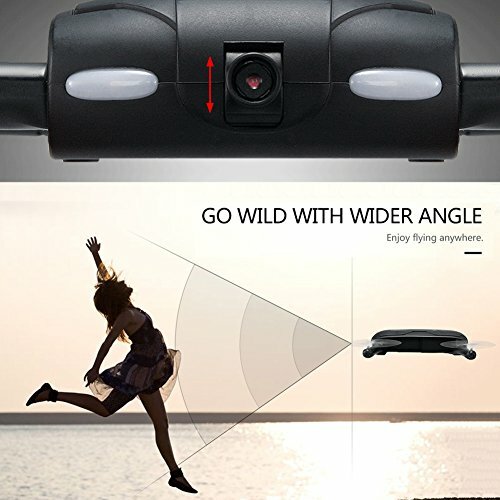 We love this one, it’s a great and very popular and packed with a whole range of features for taking great selfies. Let’s have a look at the Breeze first. Quite the looker isn’t he? Going through all of the features of the Yuneec Breeze is going to be fairly difficult, but we’ll give it a shot. For sure, it’s camera on this drone which takes the crown. The Breeze comes with a 4K-capable Ultra HD Camera, so if you’re looking for professional quality photos, you can’t look at anything else. 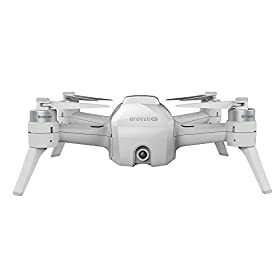 4K video, 13MP still pictures, 720p HD Live view – what more could you ask for from a drone’s camera at this price? 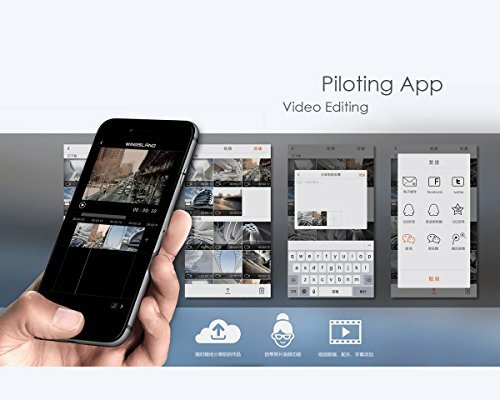 Fully integrated with the smartphone app which controls it, you’re ready to upload your pictures as soon as you take them. Once you’ve taken your photos and videos with the Yuneec Breeze, downloading and sharing via social media is quick and easy. 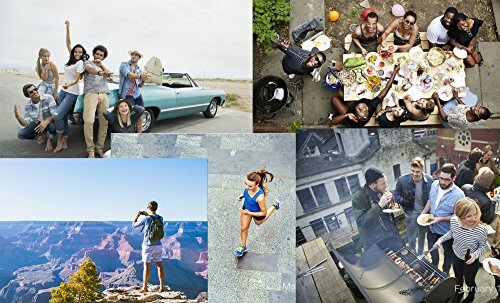 Just select the photo or video you would like to share and choose which social network you would like to share to and you’re done – all without leaving the app interface. It’s that simple. 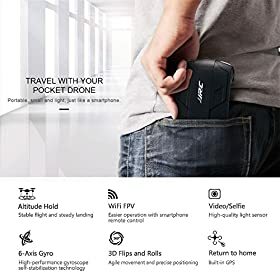 Because you can use the Breeze for more than just taking selfies, there are 5 different flight modes, all with their specific uses: Pilot, Selfie, Orbit, Journey and Vision Track. 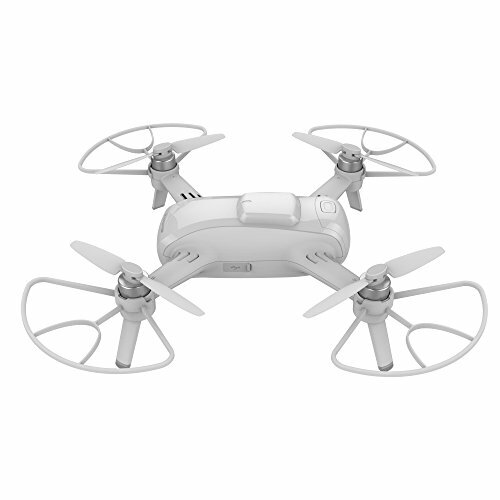 The Breeze is ready-to-fly both indoors and outdoors, with both IPS and GPS modes. 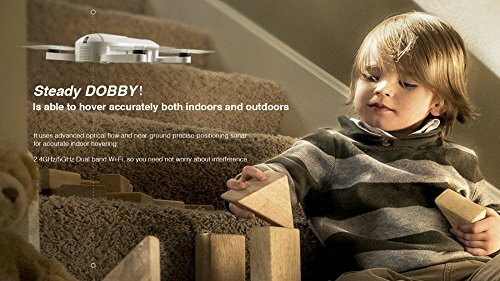 This dual-mode allows the drone to be able to hold its position for photo taking both outside and inside. At the beginning of this article, we mentioned usability as one of the necessary features of selfie drones. And the Yuneec Breeze delivers on that promise. 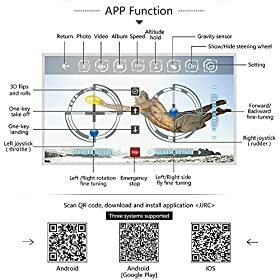 If you’re not an experienced flier, you can just tap a button on the app, and the Breeze will come back to where it took off from and land automatically. No stressing about crash-landing the quadcopter. And because we like to show you examples of the quality of each drone, here’s a family drone selfie captured with the Yuneec! Stunning quality isn’t it? Ready to commit? 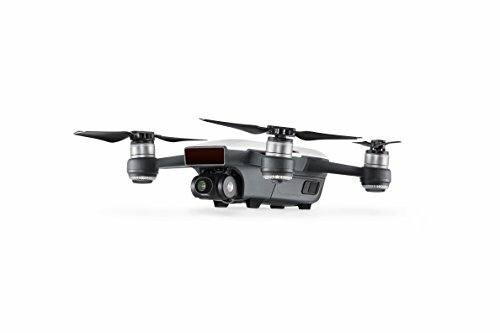 We’ve found you a great supplier of the Yuneec, so all you have to do is enter your shipping address and start taking your dronies! 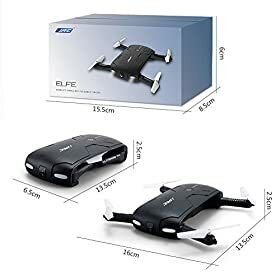 This is another of the great foldable selfie drones available, with a hefty discount being applied right now, so it’s a good idea to grab it while it’s hot! But let’s have a bit of a look at its specifications! 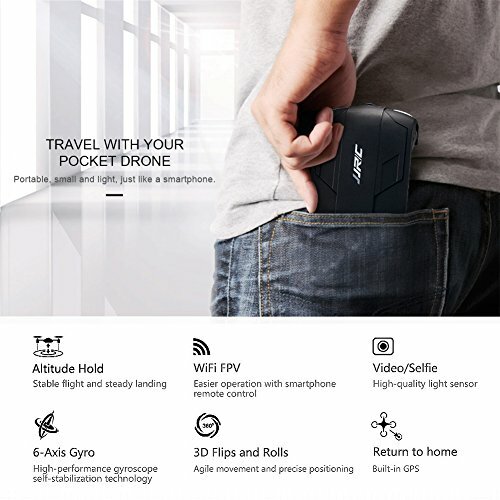 This is certainly one of the most powerful foldable pocket drones on the market. 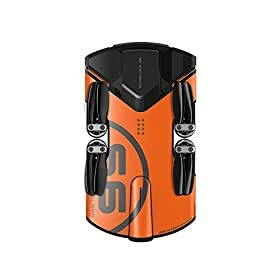 It is equipped with a 4K Ultra HD camera with a 360-degree field of view, pushing quality up to 4K video and 13-megapixel photos mounted on an integrated 3-Axis Gimbal. 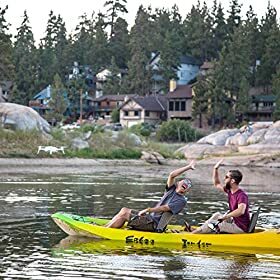 Simply put, it is designed to stuff in your backpack and take it with you wherever you are off to. 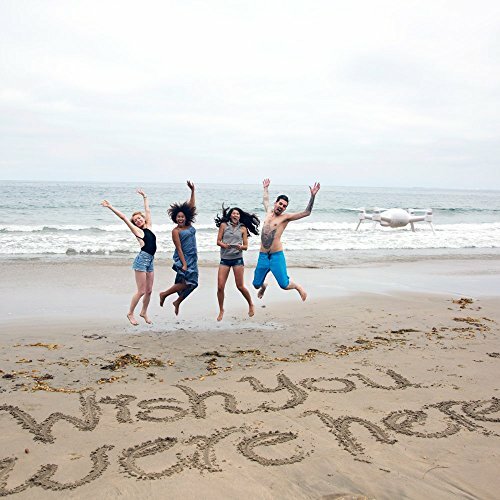 A hike, the beach, a ski trip or just a meeting with friends. something. Ready to invest? We’ve found a good source for you! Selfie drone design concept-you can keep it with you where ever you go and share aerial photos and videos anytime. We’ve saved the best for last. The drones from the most successful company of all: DJI. 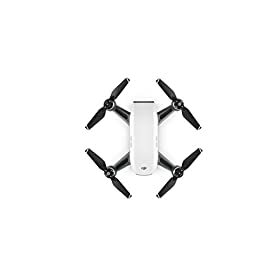 Following on the success of the DJI Mavic, comes it’s smaller brother the DJI Spark. 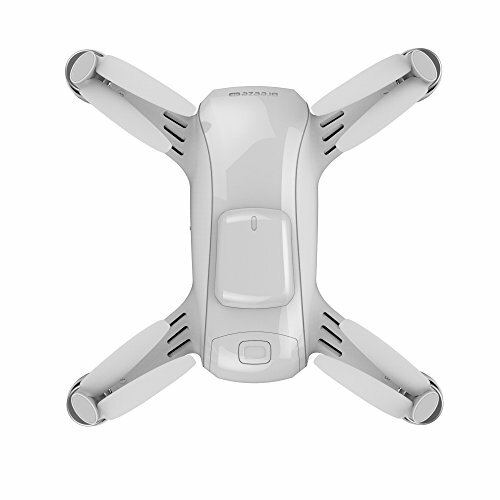 The Spark has all of the features of the Mavic, in a smaller, lighter even more portable package! 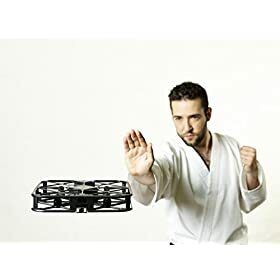 The great thing about DJI is that they have invested so much R&D into their drones, that they just keep getting better and better. And the great thing is that they keep integrating all of the best features into each new drones which come out. We really can’t mention all of the goodies which are packed in the DJI Spark, but let’s highlight a few of the greatest features. Weighing in at just 300g, the Spark can fly at up to 31MPH. It’s got an incredible flight-time of up to 16 minutes, surely the best battery life for a drone this size – and with a range of up to 2KM, you’re going the need that battery life! The camera is a powerful 12 MegaPixel version – but most of the amazing features come to life with the software which is packed into the drone. 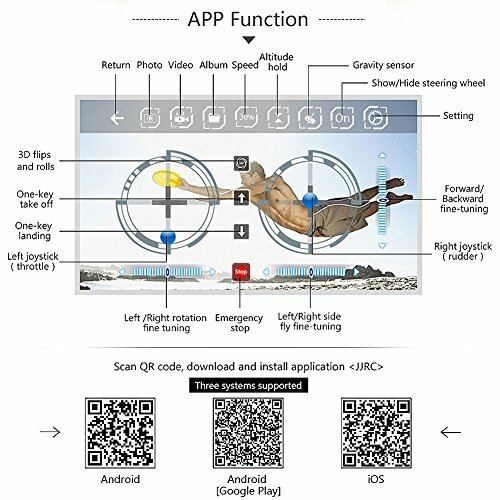 Powered by the DJI Go App, you can take selfies using gesture-control. You can even guide the Spark by pointing in a specific direction and also ask it to come back to you. The DJI Spark actually can land and take-off from your hands. It also packs most of the modes in the Mavic such as ActiveTrack, Trace, and Profile. 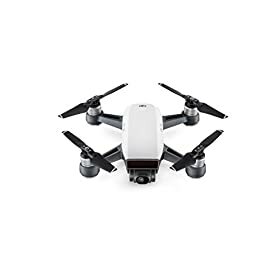 It’s best to simply have a better and deeper look directly on the DJI website – you’ll get exactly all of the fund things the DJI Spark can do. Listen, let’s not beat around the bush. DJI is the best drone out there. 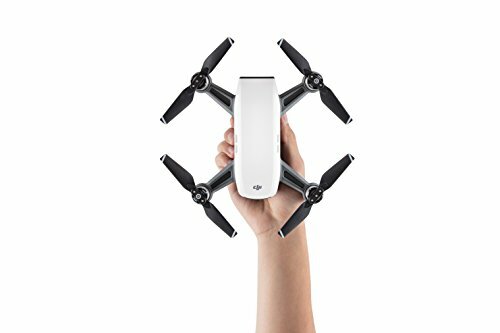 If you’re looking for a selfie-drone, you can’t go wrong with the DJI Spark. We’ve sourced the Spark either directly, or from Amazon, whatever you prefer. Just click that Buy Now button! Hey, we can’t mention selfie-drones without mentioning the drone which made selfie-drones popular. The Mavic. 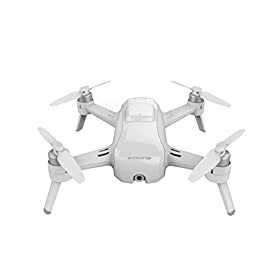 The great thing about this drone though is not only is it portable, it’s also great if you’re actually a pro-photographer or videographer. This is a professional-level drone – but yes, it does take selfies too! 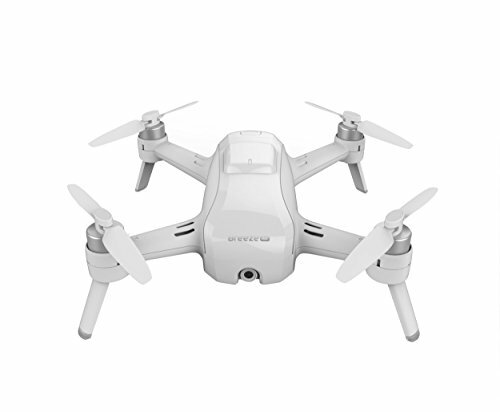 Simply put, all of the selfie drones and quadcopters we’ve mentioned here are a great choice. It’s what your budget is which makes the real difference, but you won’t regret getting any of these. Let us know how it goes in the comments below!